LG is the first of the big TV brands to announce it will be packing quantum dot technology into some of its 4K UHD TVs in 2015. 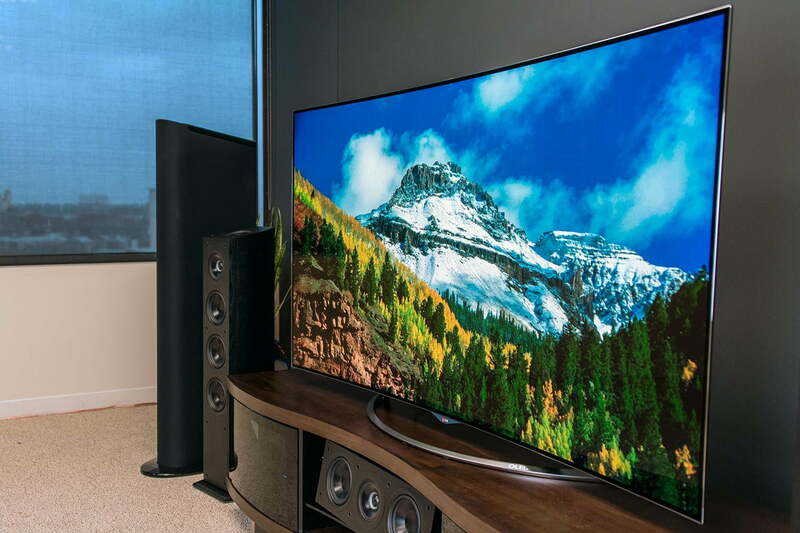 2014 was a big year for home entertainment tech. 4K UHD TVs became less expensive, more sources of 4K UHD content emerged, the first OLED TV under $4,000 debuted, the first 4K OLED televisions arrived, LED/LCD TVs took a huge step forward in picture quality as plasmas were officially retired, everyone got in line to take on Sonos with their own take on a multi-room wireless speaker system, and Dolby’s groundbreaking new cinema surround sound tech, Atmos, made its way into the home. Whew! That’s a lot for one year, and it’s fair to wonder if 2015 could be as exciting. But from where we sit, we think 2015 is going to be another landmark year for the gadgets that entertain us at home and on the go. 2015 will be the year of more: more 4K everything, more price drops, and more bang for our buck. Here’s what you can expect in the coming year. We know it‘s hard to accept: You just got your 1080p TV and you’re really excited about it (as you should be,) but then we come along and burst you bubble by telling you that 1080p TVs are on their way out. If it makes you feel any better, 1080p televisions won’t disappear overnight, but this is the beginning of the end. As we’ll learn at CES 2015, there will be more 4K UHD TV models than 1080p models this year. Hey at least we can chortle at those early adopter suckers for spending way too much money and not having any 4K UHD content to show for it, right? Well, no, actually. 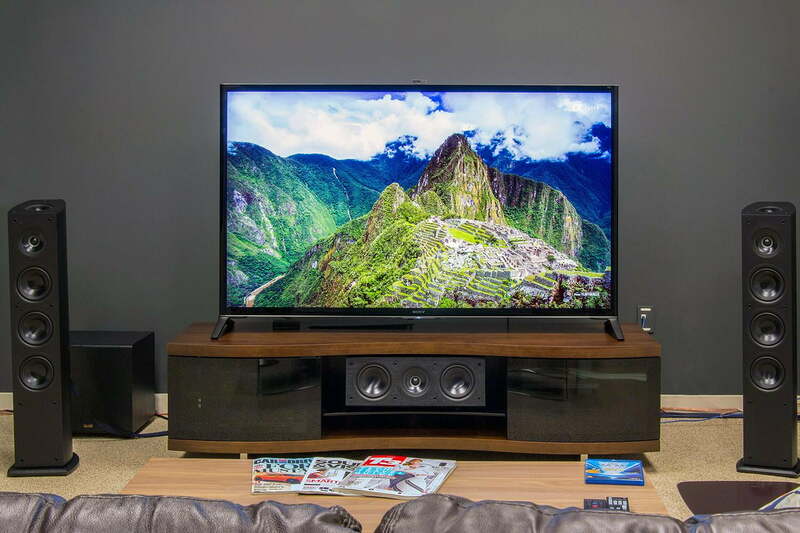 Sony’s 4K XBR-65X950B TV will run you about $7,000 in 2014. Think those doorbuster Black Friday deals you saw on 4K UHD TVs were impressive? You ain’t seen nothin’ yet! In 2015, 4K UHD will be even less expensive – they’ll need to be if they are going to replace 1080p TVs entirely. A year ago, if the manufacturer didn’t bundle any 4K UHD content with your TV (or sell it on the side) you were slap out of luck. Then, in April, Netflix began streaming 4K UHD content like House of Cards Season 2 and a handful of movies. But it wasn’t until the last month of the year that things began to heat up, and now they’re really moving along. They still won’t be cheap, but 2015’s OLEDs will be the most enticing offering yet. Amazon began streaming 4K UHD titles, M-Go added a broad selection of movies, DirecTV launched a 4K UHD video on demand service and a satellite that will one day broadcast live 4K channels, and Comcast launched its Xfinity UHD app, with plans to introduce an Xfinity UHD cable box soon. At CES, we’ll hear about more content sources, but the big one we’re excited for will be the new 4K UHD Blu-ray disc format and players, which will bring the best quality 4K content available outside, perhaps, of Sony’s 4K downloads, which is exclusive to its 4K media players. “Quantum what? !” you say. Sadly, it’s a bad name for a great piece of technology. The good news is: quantum dots do great things for LED/LCD televisions, specifically in the area of color, promising a color gamut that approaches OLED televisions. While quantum dots won’t up an LED/LCD TV’s game to OLED picture quality levels, it certainly makes for a more dazzling picture, and every major TV manufacturer will be using them. Expect lots of cryptic names and a few new acronyms to learn. Here’s our full explainer on the new tech. Don’t expect a sudden cave-in on OLED TV prices, but it’s a good bet that LG may bring to market an OLED TV that breaks the $3,000 price barrier. They still won’t be cheap, but 2015’s OLEDs will be the most enticing offering yet, and easily the best-looking picture available. LG’s 65EC9700 OLED TV introduced this year currently sells for around $10,000. It’s tough to be Sonos, which pioneered the multi-room wireless speaker market that is so popular today. These days, every major audio manufacturer is trying to get a slice of Sonos’ pie, and some of them are doing a pretty decent job of it, though Sonos remains unmatched in simplicity of use. These days, every major audio manufacturer is trying to get a slice of Sonos’ pie. That may change in 2015 if manufacturers can refine their mobile device apps, stabilize their mesh networks, and tune up their sound quality. No matter what, we can expect to see a whole lot more from this relatively new product segment, and you can bet that televisions will soon be at the heart of it all. With in-ear headphones only beginning to break into the wearable technology and connected fitness device categories, you can be sure we’ll be seeing even more growth in a seemingly saturated headphone market. And with competition remaining fierce among headphone makers, it’s entirely possible we may see prices on premium headgear dwindle. Of course, the most exciting developments in 2015 could turn out to be those we never saw coming. If you’re hoping to see something special happen in 2015, tell us all about it in the comments below. And Happy New Year!